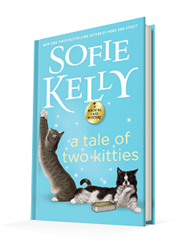 Published September 5, 2017, by Berkeley A Tale of Two Kitties by Sofie Kelly is the ninth in her adorable cat filled mystery that is both serious and delightfully lighthearted. What a charming story. The story starts off very lighthearted, introducing the reader to who the characters are. 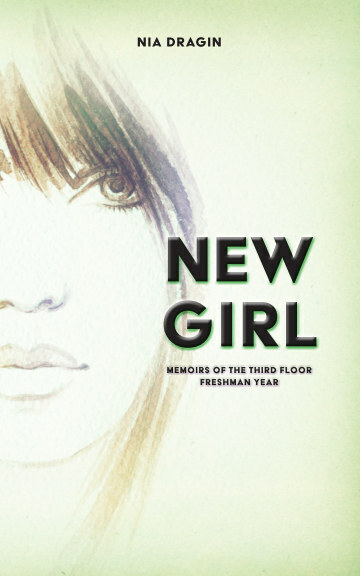 This novel is a part of a series, but there is no need to find the previous novels in the book because Kelly does such a brilliant job at bringing to life the characters and their relationships. It is easy to be wary especially when one tends to think “oh man, this is part of a series, I have to read everything before I can read this novel.” That is not the same in the case with this novel. The story does such an excellent job of letting any reader, familiar or not, understand who these characters are and their dynamics with one another. There is such a lightness to the storytelling, setting the reader for a moment to curl up and cozy up to this novel any day of the week. What works so well for the novel is the setting and the premise. It connects the reader with a small quaint little town and the people there while also connecting the reader with the case at hand. In this small town, two estranged twin brothers are going to get together, one who is dying from cancer is seeking forgiveness. However, when one ends up dead, a case is opened, and everyone is a suspect. However, for Kathleen, her cats and their magical perceptive skills have given her a reason to connect this one two a cold case right outside the town. It is a piece of work to see the novel unfold the way it does. Everyone is exploring the case, and Kathleen is just a librarian, but with the help of her cats, she becomes a detective in her own right, putting the pieces together in ways no one else is willing to see. She is such a compelling character with her humble nature. Kathleen is punctual, compassionate, and smart. Moreover, she is not predictable. Sure, some of the lines Kathleen delivers are so perfect, but they do not make her seem like just a caricature, they make her seem like a human being who has been through enough to have learned how to survive with hope in the heart. Kathleen is not a perfect character, but she sure seems that way without being annoying or fake. She seems genuine, and that is what makes the novel compelling, it is why the reader will be so eager to follow her on this mystery. The story also has such a quick pace making the reading just fly by. The structure, the writing, the way the suspense and mystery unfold draw the reader in without losing the side pieces of the story, that while all this is happening, there are still others affected, other people, trying to live their lives and go about their days. It is more than just a mystery and the fact that the story does not lose those connections, the comfort of the small town, grounds the reader into the story. It feels as though the real world is unfolding right here.